Timisoara is a major city situated in western Romania. In 2021, it will be European Capital of Culture. The city evolved around a fortified citadel surrounded by satellite settlements. After the demolition of the fortification (the XIXth century) a consistent urban tissue developed between the core and satellites. During the years, our office produced projects situated in these intermediate areas, developing an ”urban landscape” perspective, managing to attribute to the interventions a connecting role between the existing landmarks and poles; an important role was given to the ”modelling” of the volumes in order to open vistas and visual cones, as well as to the choice of forms and textures in order to ”stitch” the existing fabric and to offer a new reading of the city. We have selected one project in order to illustrate the methodology: the ”ISHO” Real Estate development. Opris, M. (1987). Timişoara: mica monografie urbanistica. Bucharest: ed.Tehnica. City, Technology and Society in the Information Age. Barcelona: ACTAR. Guallart, V. (2009). GeoLogics. Barcelona: ACTAR.Timişoara European Capital of Culture 2021. Bidbook. GAIVORONSCHI, Vlad A.; ANDREESCU, Ioan; DANCIU, Mihai-Ionut. ISHO Real Estate Regenerating Timişoara. The non-metropolitan city of Timişoara elected as European Capital of Culture for 2021. project baikal, Russian Federation, n. 52, p. 164-169, june 2017. ISSN 2309-3072. Available at: <http://projectbaikal.com/index.php/pb/article/view/1191>. Date accessed: 24 apr. 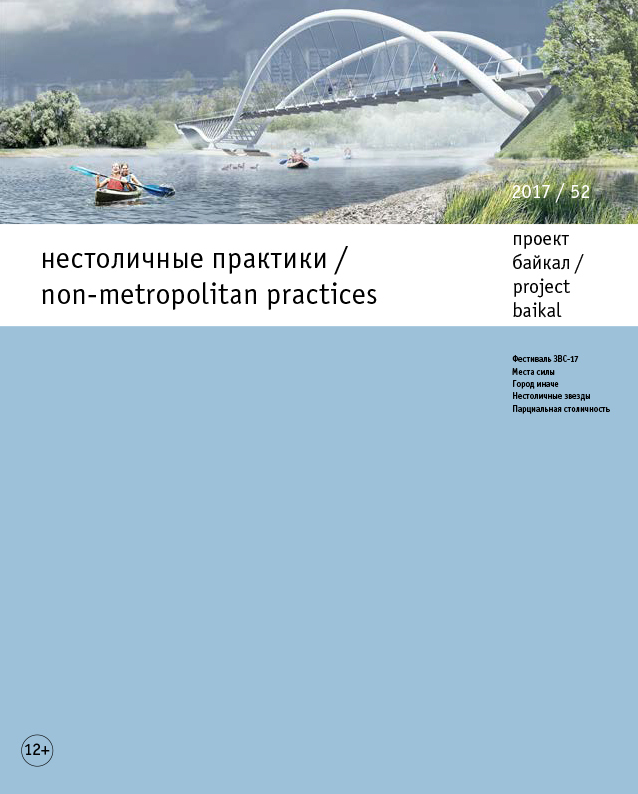 2019. doi: https://doi.org/10.7480/projectbaikal.52.1191.